Jeffrey Gettleman of the NYT investigates a growing illicit trade in the DRC — not diamonds, gold, or minerals, but ivory. Evidence suggests that military forces in the area, including national armies from DRC, Uganda, and South Sudan, and rebel groups like the Lord’s Resistance Army, have been implicated in the illegal and deadly trade. As much as 70% of all ivory is headed to China. Excerpt below, full article here. Some of Africa’s most notorious armed groups, including the Lord’s Resistance Army, the Shabab and Darfur’s janjaweed, are hunting down elephants and using the tusks to buy weapons and sustain their mayhem. Organized crime syndicates are linking up with them to move the ivory around the world, exploiting turbulent states, porous borders and corrupt officials from sub-Saharan Africa to China, law enforcement officials say. But it is not just outlaws cashing in. Members of some of the African armies that the American government trains and supports with millions of taxpayer dollars — like the Ugandan military, the Congolese Army and newly independent South Sudan’s military — have been implicated in poaching elephants and dealing in ivory. Published online May 1, 2012. Between the Berlin Conference in 1884 and the beginning of the 21st century, something extraordinary happened. In the course of just over a hundred years, nearly the whole of sub-Saharan Africa adopted Christianity or Islam. The mapmakers who gave birth to today’s African states were mortal, but the legacy of religion they left behind would fundamentally alter people’s core beliefs about life and the afterlife. In the year 1900 around 9% of the African population was Christian, and 14% Muslim. Today, nine out of every ten people identify either as Christian (57%) or Muslim (29%). Soon there will be more Christians living in Africa than in Europe. By 2030, there will be more Muslims living in Nigeria than in Egypt, and more Nigerian Muslims than Iraqi and Afghani Muslims combined. Much of the religious conversion occurred during the colonial period, but nearly half of the growth of Islam and Christianity took place after independence. It is difficult to make many generalizations about the effect of new religious beliefs on politics and society over the past century because there is great diversity in the religious make-up of countries. Countries like Somalia and Mauritania are 99% Muslim while others, like Cape Verde and the Democratic Republic of Congo, are almost entirely Christian. Some countries are predominantly Muslim but have sizable Christian minorities, like Chad (56% Muslim, 35% Christian), while others are predominantly Christian with large Muslim minorities, like Ghana (64% Christian, 20% Muslim). Even two countries with the same percentage of Christians are unlikely to look very similar. Countries like Rwanda are predominantly Catholic, while others, like Liberia, are largely Protestant. In Nigeria there is a strong Pentecostal following, in South Africa African Independent Churches are very common, and Uganda has a large percentage of Anglicans. Despite these differences, there are broad trends to note. On the whole both Christians and Muslims in sub-Saharan Africa are very devout. In a survey of 19 African countries, a study by the Pew Forum on Religion & Public Life, “Tolerance and Tension: Islam and Christianity in Sub-Saharan Africa”, found that 80% or more of the survey respondents of all faiths said that religion was “very important” in their lives. This is a much higher percentage than most populations living in Europe or even Latin America. Perhaps ironically, the importance of religion among Africa’s former colonizers (and from where most missionaries came) is quite low – only 24% of Italian respondents, 23% of Spanish respondents, 19% of British respondents and 13% of French respondents said that religion was a very important part of their lives. Both Christians and Muslims also attend religious services very regularly. In most countries, 70% or more of Christian respondents and 80% or more of Muslim respondents said they attended services at least once a week. The vast majority of respondents across countries say they pray at least once a day. Most Christian respondents reported fasting during Lent, and almost all Muslim respondents (85-100%) reported fasting during Ramadan. Perhaps most surprisingly, there is huge support among both Christians and Muslims for biblical or sharia law to be the “official law of the land”. More than half of all Christian respondents in countries as diverse as Ethiopia, Botswana, Liberia, and Guinea Bissau favored making the Bible the official law, while more than 50% of Muslim respondents from Mali to Mozambique favored making sharia law official. Most Christians and Muslims in countries surveyed also said the Bible and Koran, respectively, were the literal word of God. Thus, while there are many differences in the make-up of religious organizations and practices across countries, there are also many similarities. Most notably, the importance of religion and the conception of religious texts as absolute and literal truth, truth that should guide the organization of politics and society, are widespread. While the spread of Christianity and Islam in Africa has occurred in a relatively short period of time, these faiths and their teachings have dramatically changed people’s everyday lives and beliefs. To what extent have religious beliefs translated into government policy? In countries evenly split between Christians and Muslims, like Nigeria or Eritrea, or in countries with large Christian or Muslim minorities, can we expect to see religious conflict in the coming years? There are not clear answers to these questions, but there is a paradox emerging in many countries – people favor politicians and policies of particular faiths while at the same time ascribing to freedom of religion. They believe that religious texts should inform if not dictate laws governing a country, but promote religious tolerance. The separation of the church and state is not usually written into formal laws, but faith nonetheless finds its way into political behavior and policymaking. It is impossible to predict whether religious conflict will emerge, and often ethnicity is thought to be more divisive than religion, but there are some findings to warrant concern. Perhaps most disturbingly, a substantial percentage of respondents across countries agreed that violence could be justified in defense of one’s religion. For example, 55% of Christian respondents in Guinea Bissau and 37% in Botswana agreed with a statement saying, “using arms and violence against civilians in defense of their religion is justified”. 58% of Muslims in DRC and 37% of Muslims in Kenya also agreed with this statement. People of all faiths also expressed concern over both Christian and Muslim extremist groups in their country. Many also cited religious conflict as a “very big” national problem. Christianity and Islam are still growing and spreading in Africa, and the long-term effects of religious conversion and organization on politics and society are only beginning to become apparent. Resolving the devout-secular paradox will likely have implications for governance and conflict in the coming years. Published online April 24, 2012. In our interconnected global community how does identity influence one’s actions? “First they came for the Socialists, and I did not speak out– Because I was not a Socialist. Then they came for the Trade Unionists, and I did not speak out– Because I was not a Trade Unionist. Then they came for the Jews, and I did not speak out– Because I was not a Jew. This famous quotation comes from public lectures given by protestant pastor Martin Niemöller, a critic of Adolf Hitler who was imprisoned in Nazi concentration camps for seven years. Like many others, he expressed lifelong regret at having failed to act sooner as the Nazis murdered millions. His faith differed from most of those who were persecuted, but the painful lesson he learned was that one’s identity should not dictate one’s actions, or the lack thereof. Unfortunately, this lesson remains relevant today. Still, questions remain. When do you have a responsibility to help someone? When are other people’s problems also your problems? In the face of obvious wrongdoing or a natural disaster, is it always better to do something than nothing? The answers to these questions are not obvious, even if Niemöller’s words ring true. Injustices, atrocities and accidents occur daily, but as an increasingly interconnected global community, we have not figured out when and how we are supposed to act, either as individuals, organizations, or governments. Many argue that national boundaries should dictate who and what we are responsible for, but upon closer examination, this argument falls apart. Nationality is one of the most common social categories we use to define our identity, and for good reason. Our nationality, our citizenship, plays a large role in determining where and how we live. We look toward nation-states to dictate the behavior of individuals and governments, and physical boundaries are also those used to assign rights, privileges and obligations. Furthermore, nationalism is not just a facet of our identity, but is deeply embedded in the international system. The norms and rules of sovereignty have for long prevented one country from wandering willy-nilly into the affairs of another (which is not to say that this happens infrequently). For this reason, human rights advocates, non-governmental organizations, and international organizations like the International Criminal Court, often viewed as proxies for “western” governments, not to mention governments themselves, are often lambasted for meddling in the affairs of countries like the Democratic Republic of Congo, Rwanda, and Uganda. Governments of countries on the receiving end of intervention complain loudly about the imposition on their sovereignty. Citizens too are repulsed by the idea and actions of foreigners who behave as if they know and understand a place or problem better than the people who live there. But it is not clear why national boundaries alone should dictate our rights and responsibilities. Physical boundaries are becoming increasingly porous, and arguably, irrelevant. What happens halfway around the world is not only visible, but also something in which individuals far and wide can have a stake. Following the tsunami in Indonesia or the earthquake in Haiti, individuals raised hundreds of millions of dollars, channeled not through governments but rather through non-governmental and international organizations. It is clear that individuals can make a difference, but the question is when should they? It would be silly to suggest that we should only care about things that happen in countries where we hold citizenship. Why? At least in part because the selection of nationalism as the key factor for determining whether or not to act is arbitrary. If we should only care about “people like us” or stay out of “other people’s” affairs, an argument that begins with one’s citizenship as the relevant identity may quickly reduce down to a sub-national identity, or worse, race, religion, ethnicity, gender, or class. It is surely not the case that we should only care about or attempt to redress injustices if the offended party shares our race, ethnicity, hometown or income level. An argument that lists nationality as the key determinant of whether or not we have a right or responsibility to act is no different and no better than one listing any of our other identities as the deciding factor. Each one of us has many different, and largely socially constructed, identities. For example, I am an American, born in the state of California, in a town called Palo Alto, to a Mexican father and an American mother. I was baptized and confirmed in a Lutheran church. I have light skin. I am a woman. Should any of these categories, any of these identities, limit who or what I care about? Under what conditions should any of these identities dictate how I act? If identity (of any variety) should not be the determinant that dictates our rights and responsibilities to act, what should be? We do not have an answer to this question. What we do have is the creation of social categories around which it is easy to mobilize but also easy to persecute, the creation of “us” and “them”, “foreigners” and “locals”. Such a framing is neither productive nor sustainable. Perhaps information, knowledge, or understanding should be a prerequisite for action. Much of the critique about “meddling” in other people’s affairs stems from the fact that the meddling is often poorly informed. The road to hell is paved with good intentions, as the adage goes. First do no harm, says another popular mantra. Unfortunately, the simplicity of these axioms is misleading. We often do not know whether our actions will, on balance, be more helpful or harmful – it is often impossible to measure one’s impact, even years after the fact. Yet if we fail to act, we are in danger of becoming bystanders to massive atrocities. Many who looked on as the Rwandan genocide unfolded became exactly that – bystanders whose crimes were those of omission. So too were those who looked away as the Nazis summarily wiped out over six million people. More recently, we have faced crises in Libya, Bahrain, Syria, and beyond, as regimes have clobbered and battered their populations into submission. Rebel groups like the LRA continue to terrorize with abandon. The fundamental questions remain. Should we act? When? How? I am gathering here some opinions regarding Obama’s announcement that 100 U.S. troops will be/have been sent to Uganda to help fight the Lord’s Resistance Army, a rebel group who have been operating for the past several years in the Democratic Republic of Congo, the Central African Republic, and South Sudan and in northern Uganda before that. There seems to be a dearth of good analysis on this topic (I realize the news just came out yesterday), but I will try to add more as they become available/are brought to my attention. Anyone have any additions? *I should note, however, that in general I feel this post doesn’t really capture the politics or even essence of the LRA. 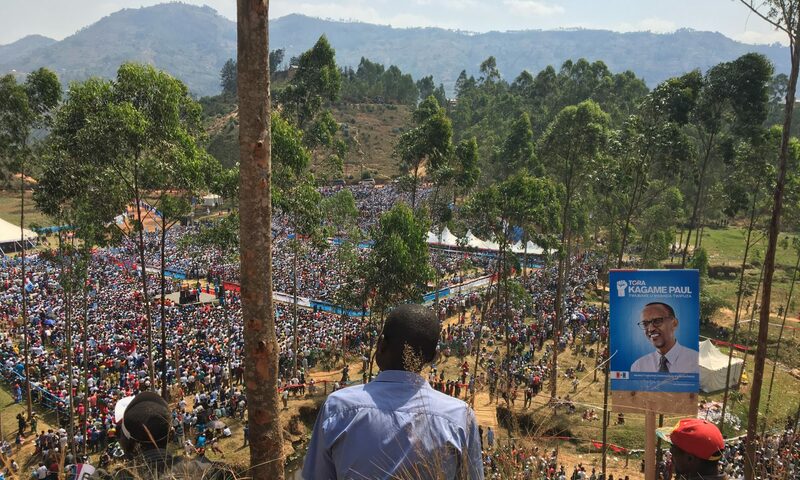 A new one not to be missed: Rush Limbaugh “Obama invades Uganda, targets Christians“. Foreign Policy post on Limbaugh’s blindly ideological and shockingly uninformed statements here. NYT article here. US has provided $33 million in the region to fight the LRA since 2008.